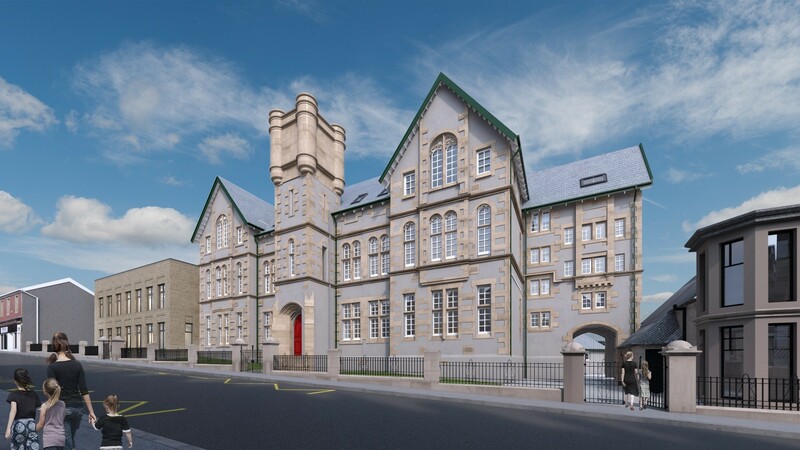 The phased build is being undertaken by Hub North and Morrison Construction with Ryder Architecture with contractors moving on-site later this month and not departing until spring 2019, with pupils remaining on-site for the duration of works. When complete the expanded school will be able to accommodate 300 pupils and 30 nursery spots and will also boast a gym, library and staff accommodation with new and old elements joined by a feature staircase. The new build extension looks absolutely abysmal. It lacks character, context or charm. 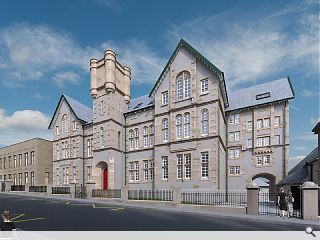 With any luck this is an earlier render produced for the feasibility study and UR will update this page with some images from the planning consent showing an inspirational and appropriate building capable of delivering the promised 'first-class education'...But if this is the extent of the aspiration then heaven help the poor kids who will have to endure it for their formative years. I didn't realise the structure(s) at the side were the extension(s) such is their blandness. Dunoon is short of architecture and this will continue the trend so why is this negative architecture inflicted on us? I'm reading the comments and thinking that these people seem to forget that great elevations cost money. That money is better spent on providing quality teaching spaces and providing facilities to improve learning. Not on expensive elevations treatments that will make the odd passerby think "that looks nice!"